Adapting the OPOL Language Strategy – Not All Families Can Stick To OPOL So Why Should They? Bilingual and Multilingual kids don’t just become fluent in their languages overnight. Parents need to put a lot of time and effort into making sure they get adequate exposure from each language to become bilingual or multilingual. To do this, parents may choose a language strategy to follow such as Time and Place. I have written previously about OPOL – One Person One Language, The Adaptions of OPOL, and MLAH – Minority Language at Home, which are very popular language strategies among parents raising multilingual kids. However not all families are the same, and sometimes need flexibility. What is “Time and Place”? Speak one language in the morning, and another language in the afternoon. Speak languages on a one or two week rota, eg. Week 1- English, Week 2- Italian. Speak one language during the week, and another language on the weekends. Speak one language in general, and another language during the bedtime routine. Speak one language at home, and another language outside the home. Speak one language at home and in general, and another language when with friends or other family. Speak one language at home, and another language at school. Speak one language at home, and another in a target room or space in the house. Eg a language corner. Who is “Time and Place” for? Bilingual parents who would like to pass on more than one language to their child can use this language strategy by choosing a time and place or both to speak each of the languages, trying to balance out the exposure to each language. Parents who don’t understand their partner’s languages prefer Time and Place in order to make sure that no parent is left out of the conversation. Perhaps speaking a family language together, and then using an adaption of OPOL speaking the other language. Monolingual parents can use this language strategy to raise bilingual children. Perhaps speaking one language at home and sending their children to a language immersion school. Time and Place is a great language strategy for parents who would like to introduce a language to their children later on, not from birth. It helps children to adapt to the languages when there is a distinction of where or when they speak each language. 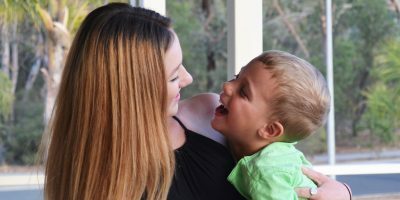 Parents who are not fluent in a language they would like to teach their children use this language strategy because they are not confident in speaking the language full time. Using this language strategy helps children to distinguish where and when to use each language since each language has a time or place. Families who cannot follow the more popular methods such as OPOL and MLAH have this extra option. In some cases, using the Time and Place language strategy, there may be unbalanced exposure to the languages the children are learning. One language may have limited exposure. Parents need to be very consistent with this strategy and make sure they are speaking the right languages at the time or place they have planned. It doesn’t mean it cannot be done, it just means that you need to take special care making sure you stick to it, for it to work. 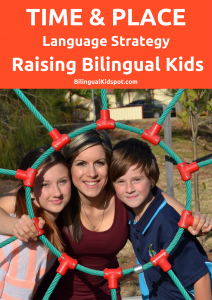 Check out the main post on How to Raise a Bilingual Child for other language strategies. My husband and I would like to speak the same language with our child at the same time. Both of us can speak both languages, but at different levels (As you probably noticed, my english is far away from the native language Level). So we are thinking about trying the Time and Place strategy. We consider whether we may fix exchangeable signs on the room doors, which alternately show either the flag of one language or the other language. Depending on the flag, the associated language will be spoken in the room. Would that be too confusing for the child? I guess you could try it. Though in my opinion for a younger child it could get confusing if you are having a conversation in one room and move to the next. Perhaps one room where you go to spend time at a certain time of the day could be an option. Eg. Breakfast time in the kitchen, or evenings in the lounge room or bedroom. This way it is more consistent. I am trying this Time and Place strategy. Basically the easiest part is to follow the language of the book we choose to read together at that moment. But I feel that exposure to French, our fourth or fifth language, was not enough though. The greatest breakthrough has been being able to find the French exchange students who were willing to play with my kids (a bit like babysitting but in a less classic setting). Couldn’t find local French-speakers for that as they charge very high. Still waiting to see their progress but at least it has lessened my burden to be the only person at home speaking to them in French. Will come back and share more with readers here how things go after a few more meetings. I am pretty optimistic, but it has been a bit difficult to fix a regular meeting with the ‘babysitter’ every week. 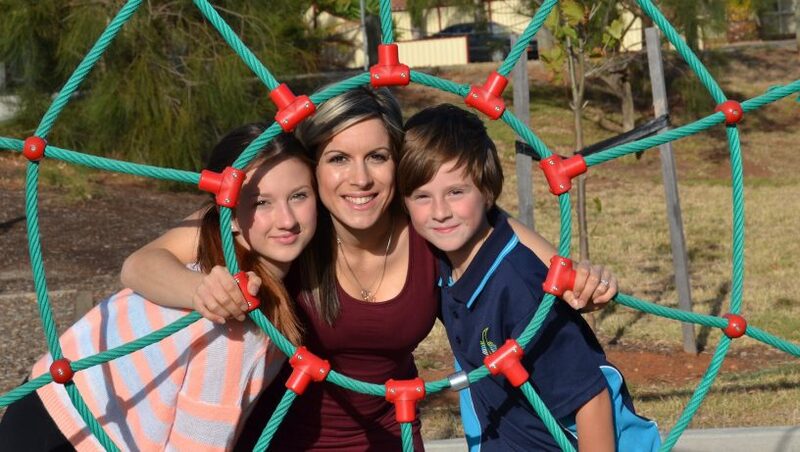 Being a language-maniac, it is hard not wanting to share my passion of languages to my children. I am also learning new language with them, which I find pretty fun. I would love to hear an update later on!